Experience a summer dance tradition! 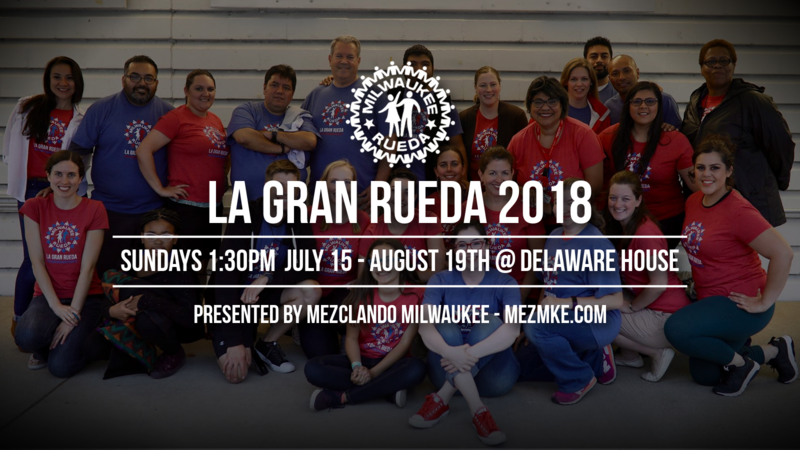 Join Matt Woida and Betsy Guerrero of Mezclando Milwaukee for their 8th annual “Gran Rueda”, and discover La Rueda de Casino! This year’s event will include 6 practice sessions and performance opportunities. Practice sessions will be held Sundays at the Delaware House from 1:30PM until 3:00PM, beginning July 15th. If you can’t make the first session but have some salsa experience, you’re welcome to join until Sunday, July 22nd. To find out more and/or confirm your participation, message Betsy on Facebook or call (414) 301-1357. Here’s a little taste of La Gran Rueda from 2015!